A much cooler, cloudier end to the week than it started out. There’s some nice things in the garden right now – I wouldn’t exactly call it “bounty” but it might be something like it. The peppers continue to do well. 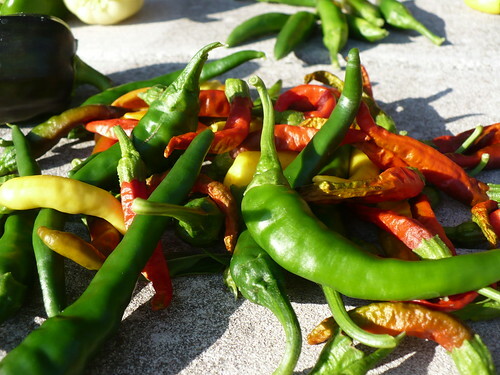 In the front here are some of the first Pasilla Bajio peppers and some NuMex Sunrise Chiles. In the back is a big pile of hot peppers. The bell peppers are doing better too. 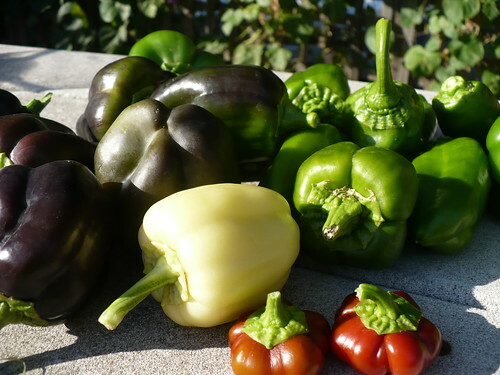 Here we have several purple and green bell peppers, a white bell pepper, and two tiny little Piros peppers. 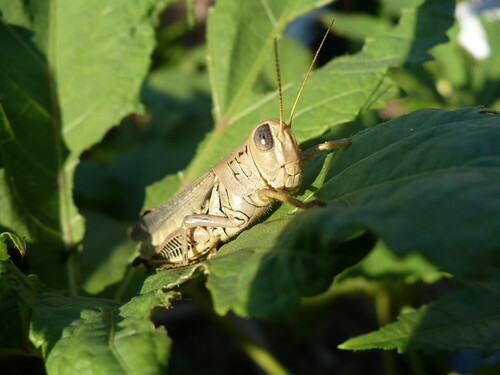 This ugly brown grasshopper was hanging out on the okra, enjoying himself. I like the green ones better, for some reason. 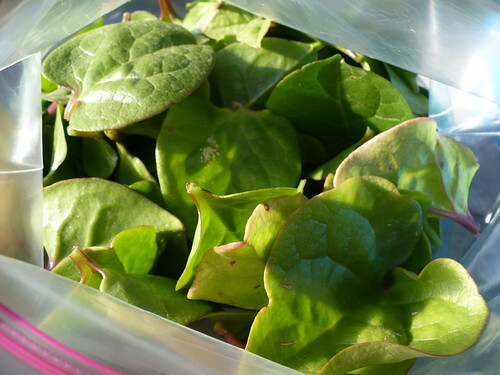 Some of our Master Gardeners have come to enjoy the Malabar Spinach as a salad green. Pictured this way, it does almost look edible, doesn’t it? There’s a closer look at that pile of hot peppers. 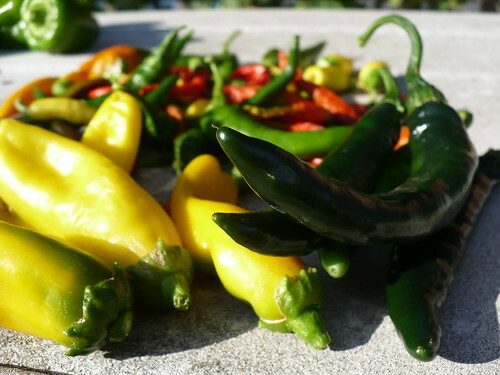 We’ve got green and yellow cayenne, the Bulgarian carrots, Yatsufusa and Sapporo Hot chilis, and purple cayenne. Anyone need some heat? 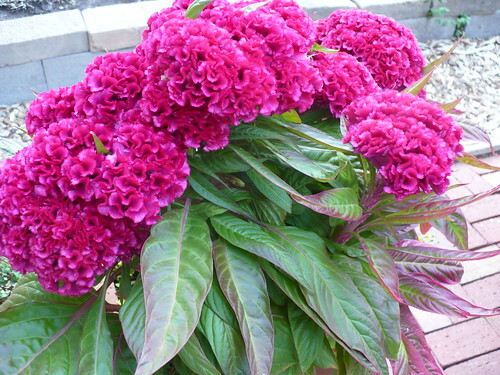 The ‘WATCH’ Celosia is looking great again this year, but then, we expect it to thrive in hot, dry conditions! Posted on September 16, 2011, in PhotoEssays and tagged flowers, insects, peppers, salad greens. Bookmark the permalink. Leave a comment.